Item 18782 Table Lamp. This table light measures 13 in. high with a 4 12 in. diameter base. 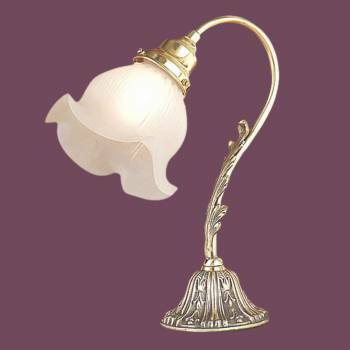 It has delicate frosted shades with an antique brass finish and a felted base. The bulb is included and a 5 foot length cord with onoff switch is also included.